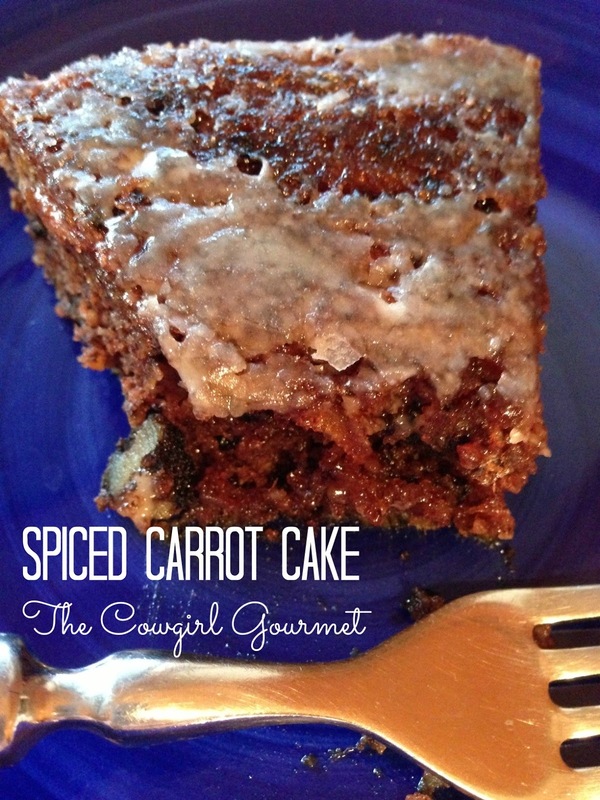 Let Them Eat Healthy Carrot Cake! As I get older, I am more and more concerned with my declining eyesight, sun-kissed skin and laugh lines. So when I find a food that claims to improve vision, reduce the risk of cancer, fight the signs of aging, have radiant skin and more, what do I do? Eat carrots! Lucky for us, carrots are peaking right now, so it’s time to get creative and look for new ways we can enjoy these super healthy and beta-carotene loaded sticks. While I do love sticking a raw carrot into a hummus for a quick energy booster or afternoon snack, I’m thinking we need something sweet that is also good for you. And I think we found just what we were looking for. Whether you have carrots in the fridge or need an excuse to buy some at the farmers market this weekend, this is what I think you should do with them. Made with almond meal, carrots, coconut oil or grapeseed oil and spices, this is what you love about carrot cake without all of the guilt. This simple cake is moist, tender, flavorful, gluten and grain-free, so you can have a big piece! Lightly oil a 9-inch round cake pan with the coconut or grapeseed oil. Place a round piece of parchment paper in the bottom. dust with almond flour and set aside. In a medium bowl, whisk the almond meal or flour, walnuts, salt, baking soda, cinnamon, nutmeg and ginger. In a small bowl whisk eggs, sugars, yogurt and oil until smooth. Mix in the carrots and stir to combine. Gently mix the egg mixture into the dry ingredients and stir until moist. Transfer batter to the prepared pan. Bake until a toothpick inserted in the center comes out clean, about 30-38 minutes. Cool cake in pan for 30 minutes. Turn out of pan, remove parchment paper and cool completely on a wire rack, right side up. Dust with confectioner's sugar if you want to keep it low sugar or drizzle the quick glaze for an extra sweet treat. If the glaze is thick, add a little more juice and if it's too thin, just add a bit more confectioner's sugar. Stir glaze well to remove any lumps and drizzle over the top. Let sit 20 minutes to harden.